So, I’m watching the SyFy channel, waxing geek as it were, and absolutely loving this new show “Heroes of Cosplay!” And I admit, that for as many conventions as I’ve attended, I didn’t really appreciate the far-flung competitiveness of the participants. All that work and detail only to wear it once? I kneel at the alter of your awesomeness. Fyi, my favorite character showcased on the first episode was Galactus hands down – that costume completely devoured me! Now, if you’ve seen the show or been to any kind of comic book or Star Trek convention, you probably already know what Cosplay is: Epic! Thousands of manga, anime, comic book, cartoon, video game, and movie fans (I’m sure I missed someone) travel from far and wide to revel, show off, or compete in sometimes very original costumes. I suspect for that for most, entering a contest with the sheer ability to show off their craftsmanship would trump everything else. However, if accolade and praise aren’t enough (and let’s face it, they seldom are) the winners are also awarded cash prizes. I’ve been to Phoenix ComicCon four years in a row and the thing that I enjoy most (aside from basking in the spicy nerd funk of gamers *coughs*) are the costumes. Often the imagination and creativity of these super-fans just knocks me right outta my Sketchers. I have never gone in costume, opting for my favorite super-hero or Star Trek t-shirt, but every time I attend one of these conventions one thought pervades: I want to come in costume too! 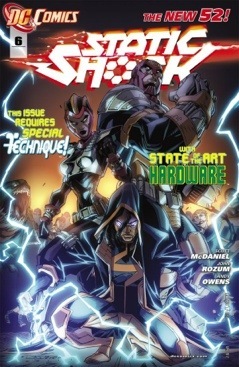 All of which got me thinking about making my own variation on a favorite super hero of mine: Static. 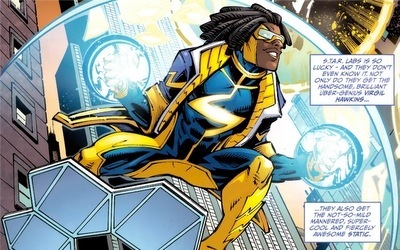 Static, was one of the few black male costumed crime fighters in mainstream. 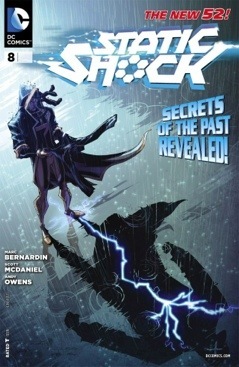 He even had his own cartoon, as part of the DC Universe, with the occasional guest spot from Batman or Batman Beyond, and more recently was given his own series. 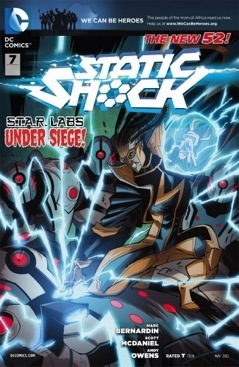 Oddly, though Static Shock gained huge popularity, some managed haven’t heard of him. And that is one reason I chose this particular hero over, say Luke Cage, Spawn, Night Thrasher, Cyborg, Black Panther or John Steward aka Green Lantern. 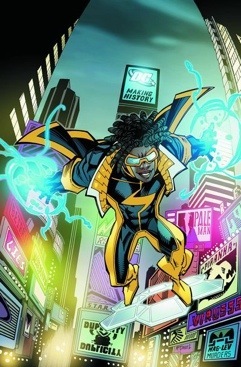 This costume deserves a fan loyal to the image, overall look, and brand that is Static Shock. I dare say I could do Virgil justice. I have the right body proportions, skin tone, and long hair (which I’m thinking about twisting and then sculpting to match his longer, chunkier dreads). What I don’t have are sewing skills (do sewing buttons count?) or an unlimited budget – requirements which will require an upgrade on my part. Self-doubt has ever been my enemy, even when I’m cooking. And I think it’s funny how an otherwise confident, adventurous person can allow fear of failure to prevent himself from trying new things. So a couple of years ago, I dressed up as a “burn victim” for Halloween. I really wanted to do a good job too. I watched dozens of YouTube video tutorials on effect makeup and ordered all the right professional-grade makeup, paints and liquid latex. When I was done, half of my face and right hand were alternately burned, charred or scorched and the whole effect was pretty gruesome and gooey-looking. But everyone was really impressed with my makeup and appropriately grimaced or recoiled; to my ever-lasting amusement – I really was gross. So it takes moments like that in my life to prove how versatile and talented really I am. I know that if I push myself, often I am surprised at the result. This can be a shocking revelation. 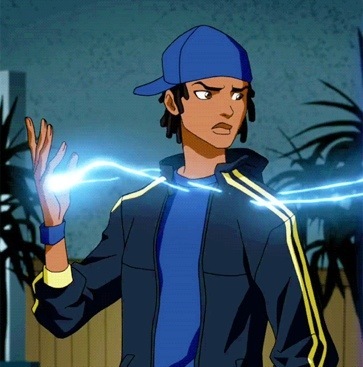 So here’s hoping that I can put together this Static Shock costume for a Summer 2014, ComicCon deadline. I promise to keep posting as I make or acquire pieces for my outfit. I think I’m going to have to make a mold for the boot embellishments…it’s certainly too unique to purchase. Electric tape for the chest emblem that lights up. Perhaps a lesson in latex mask making (or some such) is in order? I am on a mission folks, totally obsessing! 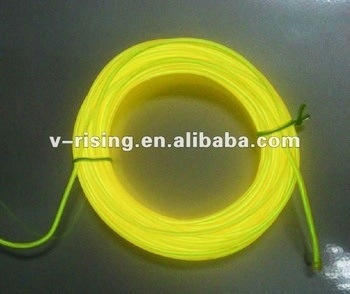 UPDATE: So during the draft of this post, I found this incredible EL tape and wire from Alibaba.com. This will be the stylized lightning emblem and piping through the costume. I am SO stoked! 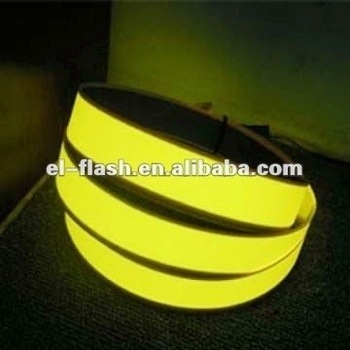 Who else has found exotic materials for great costume building? Please leave your Comments and Feedback below!